We all know even the smallest details make the difference, especially when it comes to our surroundings. Our client, Mark, knows all too well that meticulous taste and an intuitive sense of style help too. 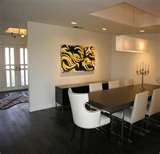 For over 10 years, Mark has provided artwork and decorative items to some of Dallas’ premier interior design retailers. His knowledge of scale, design and texture has made him an innovator in room décor and has helped establish he and his company across the country as the “go-to guy" for over-the-top designs. Recently Mark developed an idea of structuring whole room concepts for some of the country's largest relocation specialists and national retailers. But in order for his idea to get off the ground, Mark had to have financing as well as moral support. That's where we came into the picture. "While Mark had a great idea, he had few options when it came to financial backing," Anne Capps said. Anne is Executive Vice President of American Receivable, a North Texas factoring company and a partner of Mark's. "We were able to leverage some of his outstanding receivables to give Mark the cash he needed for his inventory," Anne continued. "Within 30 days he had a neww line for his company." Mark's portfolio consists of hundreds of framed pieces of art, rugs, and nick knacks that are virtually interchangeable and that create the perfect home away from home for employees that are in temporary corporate housing. And he’s not stopping there: Mark is putting his signature on his own framing designs and textiles that he hopes to market this fall.